The Treasure Coast Builders Association offers many classes throughout the year. Be sure to check the events calendar for upcoming dates. The 6th Edition, 2017 Florida Building Code has a tentative effective date of December 31, 2017. 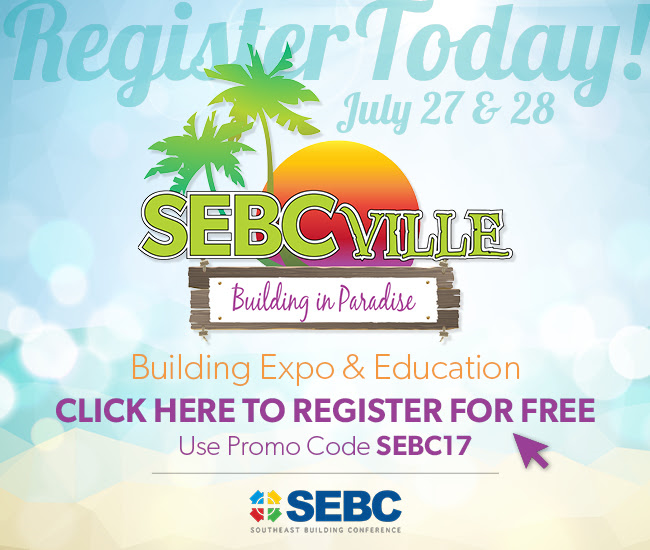 Don’t miss this chance to get a first look at the upcoming Florida Building Codes! THIS PROGRAM IS SPONSORED BY THE FLORIDA DEPARTMENT OF BUSINESS and PROFESSIONAL REGULATION and THE FLORIDA BUILDING COMMISSION AT NO COST TO ALL PARTICIPANTS. 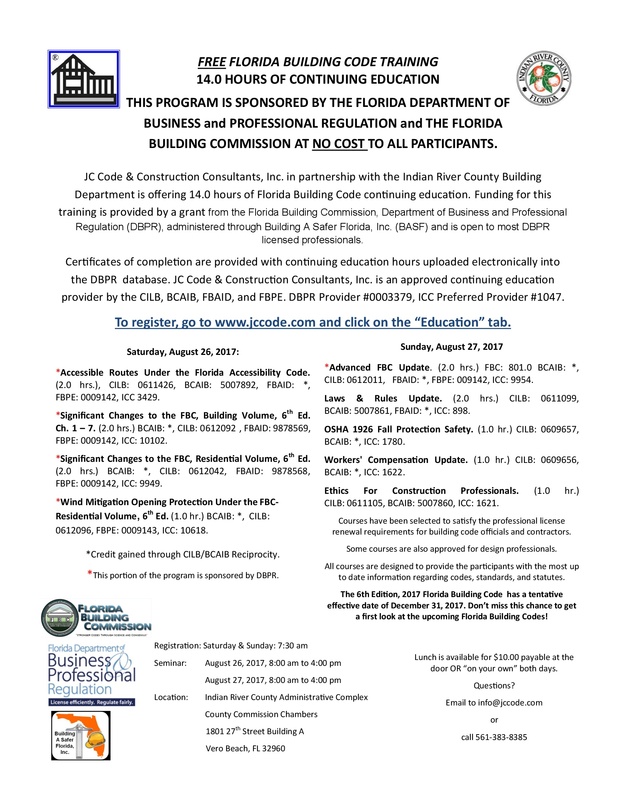 JC Code & Construction Consultants, Inc. in partnership with the Indian River County Building Division is offering 14.0 hours of Florida Building Code continuing education. Funding for this training is provided by a grant from the Florida Building Commission, Department of Business and Professional Regulation (DBPR), administered through Building A Safer Florida, Inc. (BASF) and is open to most DBPR licensed professionals. Certificates of completion are provided with continuing education hours uploaded electronically into the DBPR database. JC Code & Construction Consultants, Inc. is an approved continuing education provider by the CILB, BCAIB, FBAID, and FBPE. DBPR Provider #0003379, ICC Preferred Provider #1047.